You must be at least 21 years of age, a United States citizen, have a valid driver’s license, and have completed 60 college credits; or you must have 2 years of active duty military with an honorable discharge (if applicable); or you must have 3 years of prior police (full service department) experience. No, however, under current DC law, a sworn officer has to retire at 64 years of age. The starting salary is $55,362 per year. You will receive this on your first day of employment while in the academy. After successful completion of the 18 month probationary period, members earn $60,571. You will begin earning your full salary upon entering the Academy. MPD does not provide travel reimbursement for traveling to mass processing, polygraph examination or the medical/psychological evaluation. There is no cost to apply. However, each applicant is responsible for paying $49 to take the Frontline National written multiple-choice examination. Total cost reimbursement within 30 days if they are residents of the District of Columbia. $25 reimbursement within 30 days regardless to where you live, when you take the exam at any of the four testing locations in the District of Columbia. If you cannot afford to pay for the entry-level exam you may complete and submit a Hardship Voucher Form. The test is available throughout the country thus minimizing the need to travel to Washington, DC to take an assessment. Sworn members are eligible for retirement after 25 years of service with MPD at any age. Does MPD offer a Tuition Reimbursement program? Yes you may seek reimbursement up to $800 per semester, with a maximum allowance of $2,400 per academic year. Further, you must maintain a C average. You can begin receiving this benefit upon hire. No, MPD will conduct its own background investigation whether you have a clearance or not. Yes, tattoos that are offensive cannot be visible to the public. Please see the list of automatic disqualifiers to see what arrests would make you ineligible if not expunged. Further, it is recommended that an applicant have any arrest expunged before moving forward in the application process. Yes, you can still begin the process. However, the DD-214 must be provided to the Recruiting Division before you can be hired. Although there is no way to predict the actual length of time the application process may take, we recommend applying three months prior to the end of your active duty. Yes, when scheduled for military training you will be requested to present a copy of your orders to your commanding official(s). Please keep in mind that any commitment that you must fulfill during your time in the academy would cause you to be placed with a different academy class other than the one you started with upon your return from service. Does MPD pay relocation costs? No, MPD does not offer relocation incentives. Males: less than 30% at mass processing and 28% at medical. Females: less than 36% at mass processing and 34% at medical. No, there are no restrictions on residency preferences. MPD police officers live wherever they want. Each MPD officer is responsible for reporting to work on time regardless of where they live. There are many benefits to living in the District of Columbia - from the wonderful neighborhoods, nightlife, restaurants, recreation areas and events throughout the city, living in the District has many benefits. You will be required to visit the Washington metropolitan area approximately three times. Those times will be for MPD Prospect Day, polygraph testing, and the psychological/medical evaluation. Your response to requests from your background investigator in meeting any deadlines or appointments will also play a role in how long the process will take. We require that you bring the requested documents with you for MPD Prospect Day. If you are unable to obtain a copy of your official college transcript we ask that you bring an unofficial copy with you and provide the original within 10 days of completing MPD Prospect Day. If you have any expungements, those documents must be provided on the date of MPD Prospect Day. The written examination is part of the FrontLine Testing System which includes: a video-based human relations test, a reading ability test and a report writing test. Testing takes approximately two hours. Academy classes are held monthly.  The MPD Academy is not residential; however, recruit officers may live at a temporary residential housing facility, while transitioning to Washington D.C. Additionally, the MPD Recruit Rental Assistance Program is designed to assist new police officers in their transition to working and living in the communities they serve in Washington, D.C. Eligible MPD recruits who sign up between October 2017 and March 2018 will receive rental assistance of $1,000 per month for six months, for properties in DC. For more information, please click here. MPD's Academy includes approximately 24 weeks of intensive academic and physical skills training. This includes two weeks of firearms training, one week of civil disturbance training, one week of vehicle skills training, and officer survival skills training. No, we will equip you with the skills and training that you need to graduate from the academy. At the conclusion of your academy training, you will be assigned to one of the seven patrol districts. You will be provided an opportunity to request the district you would like to go to, but the final decision will be based on the needs of the department. How do I become a detective, Sergeant, ERT member, K9 member, or a member of another type of specialized unit? Each specialized unit has different requirements including the length of time in the department. For example, to be eligible for detective, you must have three years of patrol experience, but to become a sergeant, you must have five years before taking the promotional exam. Constant hard work and dedication to the job along with a high degree of self-motivation will serve those who seek promotion. Will I be able to transfer my leave accumulated from my prior agency? You will be given an opportunity to submit prior federal/district government time for service and leave. Will there be college equivalent credits earned after completion of the Experienced Officer Program? No college credits are given; however, some officers may take their credits to academic institutions and have them evaluated for credit. How many years are required to apply with specialized units within MPD? Each unit has different requirements, all entry level and experienced officers must successfully complete the 18-month probationary period before being considered for other specialized units. Will I have the opportunity to qualify with the same sidearm I qualified with from my prior agency? No, you will only be able to qualify and carry an MPD approved sidearm, on or off duty. The Metropolitan Police Department currently utilizes the Glock service pistol. Will I have the opportunity to negotiate my starting salary based on my law enforcement experience? No, the starting salary for entry-level and experienced police officers is set at $55,362. Will my experience determine where and how I’m assigned with MPD? No, all graduates from the MPD Police Academy will be assigned to locations in the city based on the operational needs of the Department. Will there be any housing assistance for relocation? No credit will be given from prior service time toward retirement. Prior military and/or Federal service may be purchased for the purpose of retention of credit for retirement calculation purposes after successful completion of the 25 years of service. Is there a signing bonus? As an experienced officer will I have to attend the entire 28 week police training academy? No, the experienced officer program curriculum is an abbreviated 11 week transition program at the training academy. Ordinarily, the Metropolitan Police Department starts a Reserve Police Academy and Auxiliary Police Academy each spring. Depending on the number of applicants, a fall class may also be started. If you are considering joining the Department as a Reserve Police Officer submit an interest card to learn more and begin the application process. What is the difference between serving as a Reserve Officer and an Auxiliary Officer? Both Reserve Police Officers and Auxiliary Officers are volunteers. Members of the Reserve Corps serve in patrol-related capacities, typically are armed members and are expected to volunteer at least 24 hours per month. Auxiliary officers are unarmed members that support stations, cell blocks and work events and details (e.g., parades, sporting events), and are expected to volunteer at least 16 hours per month. What are the expenses associated with becoming a volunteer officer? There are no formal expenses to join the Reserve Corps or Auxiliary Corps. All initial application costs are covered by the Department. During training all required uniform and equipment items are furnished to each member at no cost (except for under garments and boots). Upon graduation from the training academy there are no further costs. The Department does not reimburse members for travel to and from their duty assignments; however, while on duty the Department covers all costs associated with a member’s volunteer service. Does MPD provide insurance or other benefits in case I am hurt while volunteering? In the unexpected and unfortunate case a Reserve Corps member is injured in the line of duty, all Reserve Corps members are covered by the District of Columbia’s workman’s compensation program. How often do I have to serve if I join the Reserve Corps? The Reserve Corps is a volunteer organization. Upon completion of the intensive training and field training programs, armed members are expected to volunteer at least 24 hours per month. Unarmed members are expected to volunteer at least 16 hours per month. Many of our volunteers go well above and beyond the minimum expectations as they enjoy providing voluntary service to the Washington, DC community. What are the expenses associated with becoming a Reserve member? There are no formal expenses to join the Reserve Corps. All initial application costs are covered by the Department. During training all required uniform and equipment items are furnished to each member at no cost (except for under garments and boots). Upon graduation from the training academy there are no further costs. The Department does not reimburse members for travel to and from their duty assignments; however, while on duty the Department covers all costs associated with a member’s volunteer service. Do I have to testify if I make an arrest? I have a full-time job that would make it difficult to appear during the day. Yes. As a sworn police officer in the District of Columbia, you are required to comply with all mandatory court appearances (i.e., papering, preliminary hearings, and trials). Each applicant should consider their full time employment when deciding whether the Reserve Corps is right for them. Are there any differences in the uniform that Reserve members wear? What is the culture like within the Reserve Corps? The Reserve Corps maintains a positive culture dedicated to volunteer service. Members contribute considerable portions of their time to help strengthen the police department and the Washington, DC community. The best way to understand the Reserve Corps’ culture is to come to a New Candidate Orientation or do a ride-along with one of our 80+ members. How often do I have to serve if I join the Auxiliary Corps? The Auxiliary Corps is a volunteer organization. Upon completion of the intensive training and field training programs, members are expected to volunteer at least 16 hours per month. Many of our volunteers go well above and beyond the minimum expectations as they enjoy providing voluntary service to the Washington, DC community. What are the expenses associated with becoming a Auxiliary member? There are no formal expenses to join the Auxiliary Corps. All initial application costs are covered by the Department. During training all required uniform and equipment items are furnished to each member at no cost (except for under garments and boots). Upon graduation from the training academy there are no further costs. The Department does not reimburse members for travel to and from their duty assignments; however, while on duty, the Department covers all costs associated with a member’s volunteer service. Are there any differences in the uniform that Auxiliary members wear? Auxiliary Corps members are issued similar equipment to their career service counterparts however wear a distinguishable patch and badge identifying them as an Auxiliary Officer. Can Auxiliary members drive MPD vehicles and use other Department resources? Yes, Auxiliary Corps officers are able to drive MPD vehicles; however, do not utilize emergency equipment or respond to calls for service. Do I get to choose where I can serve as a Auxiliary member? Each Auxiliary Corps member can request their top three police district preferences at time of graduation. Although consideration is given to each member’s preference, ultimately, the location of assignment is determined by the Department based upon operational needs. Why should I choose an internship with MPD? Collegiate Interns with MPD receive excellent hands on training and experience. Supervisors at MPD are invested in each student's professional development and ensure a wide range of opportunities, both at the placement location or otherwise, are made available to the student. Is the MPD Collegiate Internship Program paid? No, the internship is not paid, but you gain valuable professional experiences. Can I receive credit for completing the MPD Collegiate Internship Program? Many past interns have received academic credit for completing the internship. All arrangements must be made through your academic institution, and the MPD is happy to provide any required documentation once selected for the internship. Is a car required for this internship? Certain intern placements are only accessible by car. However, many of our interns do not have cars and are able to utilize the Metro system. Whether you have a car will be taken into consideration when you are being placed to ensure you can access the placement location. Do I have to be a Washington, DC resident to participate in the internship? Residency is not required, students from around the country relocate to the DC area for a semester or the summer to participate in the internship program. Interns will be responsible for their own housing arrangements. What kind of work will I do as an intern with the MPD? Each assignment comes with different tasks and responsibilities. Visit the Collegiate Intern and Citizen Volunteer Placement page to view the many options. I want to be a police officer when I graduate from school. Will I be able to participate in ride-alongs as part of my internship? Absolutely, interns are encouraged to participate in ride-alongs to gain first-hand policing experience. These ride-alongs count as hours worked. Interns will also be asked to participate in and assist with training at the Metropolitan Police Academy and will have lunch with various high-ranking members of the department. I don’t know what I want to do for a career. Will this internship help me make a decision? In addition to daily intern duties, intern supervisors are often happy to accommodate each intern’s interests and expose them to a variety of units within the department. Past interns have been able to participate in training at the Metropolitan Police Academy, conduct informational interviews with various members of the department, participate in field trips with recruit officers, and even ride along with MPD's Harbor Patrol Unit. I want to wear a uniform and gain hands-on law enforcement experience. Is this the right internship for me? It is important to note that interns assist members of the department and do not perform law-enforcement duties. Certain placements are more hands-on than others. In addition to our internship program, feel free to consider our other volunteer opportunities, including auxiliary corps, reserve officer, and citizen volunteers. Will I be offered full-time employment with the MPD at the conclusion of my internship? Completion of the internship does not guarantee full time employment; any person who wants to be employed by the MPD must complete the full hiring process. Graduating seniors may be eligible to participate in the Partnership for Experiential Learning track, during which they can complete the sworn hiring process during the second half of their internship. Many interns enjoy their experience with the MPD and return as civilian volunteers or sworn officers. I have used illegal drugs in the past. Am I eligible to apply? The MPD’s intern drug policy is clearly outlined on the Collegiate Internship Program - Interest Card & Application; no exceptions will be made. A full background check will be conducted on all applicants to uncover drug use and any other questionable actions/behaviors. Intern applicants undergo a background check similar to that of sworn officers. Applicants will have to complete numerous questionnaires and will be asked to provide personal and professional references. More information will be provided after you submit your initial application.